Protecting children from foodborne illness is one of the mostimportant jobs of child care providers. Foodborne illness isdefined as illness caused by eating contaminated food or drink.1. Clean: Cleanliness is very important in keeping food safe. Keeping a facility clean requires good personalhygiene practices. It also requires proper cleaning and sanitizing of food contact surfaces, dishes,and equipment.Cleanliness is very important in keeping food safe. Keeping a facility clean requires good personalhygiene practices. It also requires proper cleaning and sanitizing of food contact surfaces, dishes,and equipment.2. Seperate:Cross contamination occurs when one surface contaminates another. Separating hazards fromfoods prevents cross-contamination—for example, separating raw foods from cooked foods.Another example is storing chemicals in a separate location from food.3. Chill:Proper chilling of foods also helps keep them out of the temperature danger zone. Chilling foodsis important at several steps in handling foods: receiving, storing, preparing, and cold holding.4. 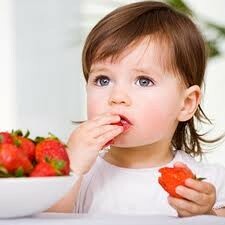 Small Portions:Cutting your childs food into smaller bites will help to prevent choking.